Cities Connection Project | HOLIDAY HOUSE. MOLARE. Reconcile the functional needs of a second home with the respect of the characteristics of the existing building and formal: this was the general principle. We have chosen to retain the original wooden structure bunk, replacing only the carpentry of the roof, for sgra- varla from any static function main. This led to the intro- duction of new perimeter walls in wood, inserted inside the existing, which support the new roof and thermally insulate the building. The new structure consists of a framed modular, prefabricated in the workshop and as- sembled on site, set to four brick walls within the existing stone base, cleaned, insulated and consolidated. The functional distribution houses, in the basement, space for children, while the upper floor is treated as a single space, divided by a mobile-staircase giving access to a mezzanine floor and separates the kitchen from the living room. From this space are born the only architec- tural elements that affect the original wooden structure, two windows coffered designed like telescopes towards the stunning surrounding landscape. For the rest, visible from the outside interventions take place in a discreet but clear and recognizable, breaking in detail and in the ma- terial from the existing. The end of the treatment of the interior surfaces, plaster, birch and oak, makes clear the contrast between the world outside and the inside, fresh and welcoming. 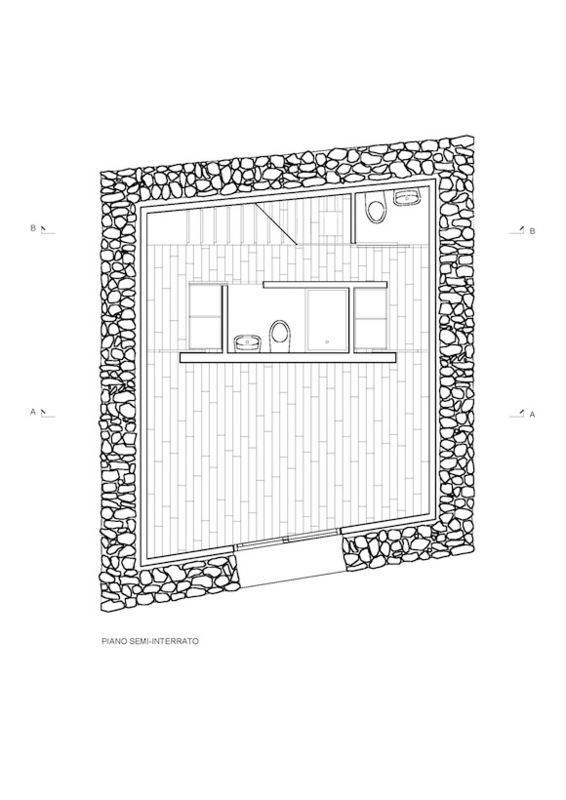 The exterior is minimal: an access path with material re- covered on the spot through three terraces and keeps the isolated nature of the construction and the poetry of his own place. 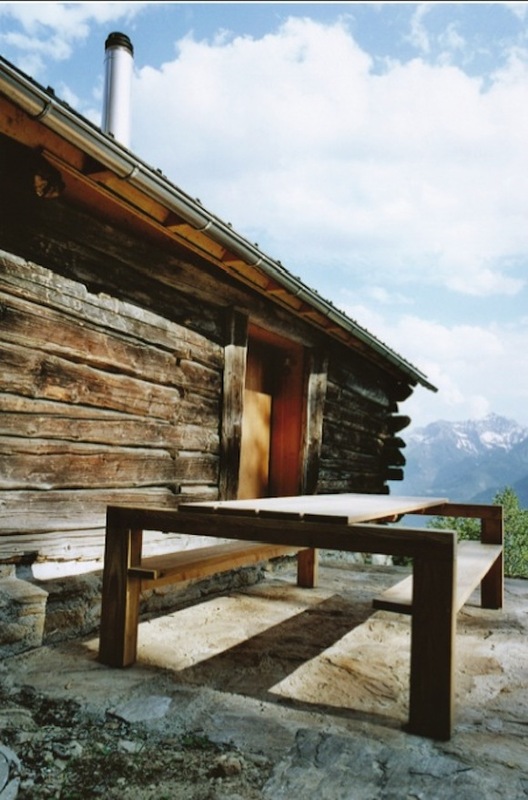 The outdoor table is a tribute to Donald Judd.